You might notice that there are lots of food delivery apps these days, since the increase in demand for food delivery services has led to the rise of these apps. It is a good thing for you, since you do not need to go elsewhere to have something to eat and stay at home and order food instead. Here are some of the other reasons why the number of food delivery apps has increased, along with the number of restaurants offering delivery services. These days, people are busy with whatever they are doing in life. Even during their break time, they continue working so as such, it is an excellent idea to use a food delivery app. The work they are doing can continue while waiting for the order to arrive, allowing people to maximize their time and efficiency. We are living in a time when everything seems to be instant – one wants to wait too long or make too much effort to receive something. If they are going to shop for some items, they do not have to visit malls and stores as they can go online and purchase everything they want. The same thing applies to food. If people are hungry, they do not need to drive to restaurants and order and instead say can stay home and still have freshly made hot meals delivered. Before, delivery services were not as efficient as they are today. When people wanted to order something before they needed to wait a long time before they received it, compared to today where deliveries arrive within a few minutes. Before, restaurants only catered to a limited area. Today, it does not matter where you live as the delivery service will reach you. 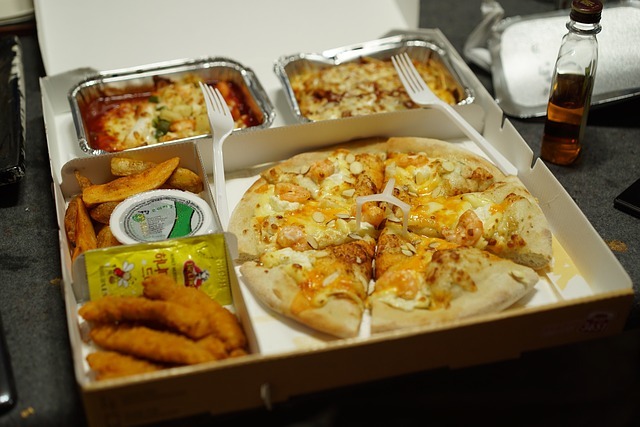 It is easy for restaurants to offer their dishes to people who decide to dine in as they do not see the incentive in providing delivery services. However these days, people have started getting lazy about going to restaurants to eat. They would rather stay home and do something else, which decreases the number of people who dine in restaurants. If these places decide not to change their business model, they will lose lots of potential customers and therefore as a result, food delivery apps now offer more choices to people due to the increase in restaurants that are willing to provide food delivery services. If you intend to follow a diet plan that aids in losing weight, you can start now. For instance if you want to follow the keto diet, you can opt for keto food delivery. Even if you don’t know how to prepare the meals it doesn’t matter as with the help of a keto meal delivery service, the food that you can eat will be on your table in no time. When it is easy for you to get keto meals delivered because of the delivery service, you can continue your diet plan easily, effectively and without any problems.